1. Find the image that you would like to purchase, just above the large preview on the right there is a link that displays “Buy”, click this link. 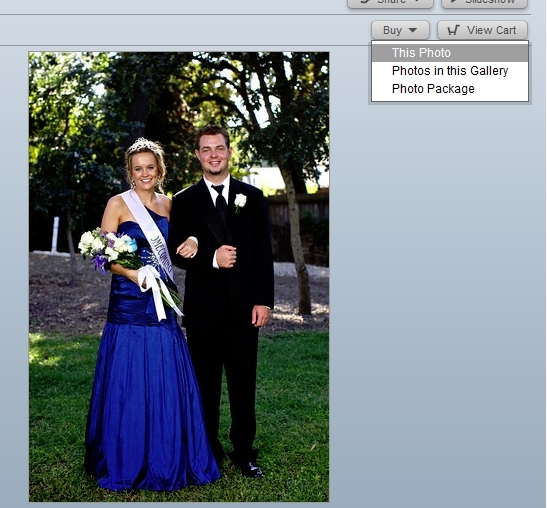 A drop down will now be displayed, see screen shot below. 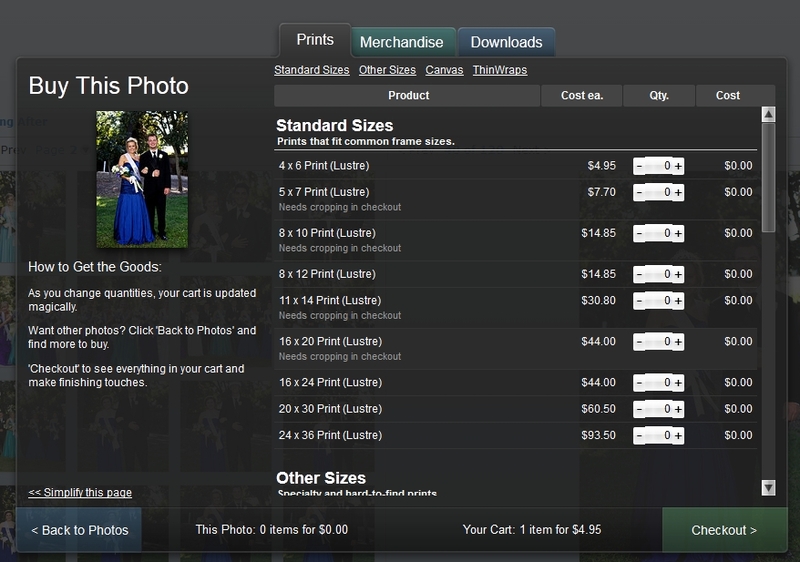 You can certainly select any of these options but “This Photo” will allow you purchase the photo being viewed now. Note: The shopping cart updates while you are changing quantity. 3. 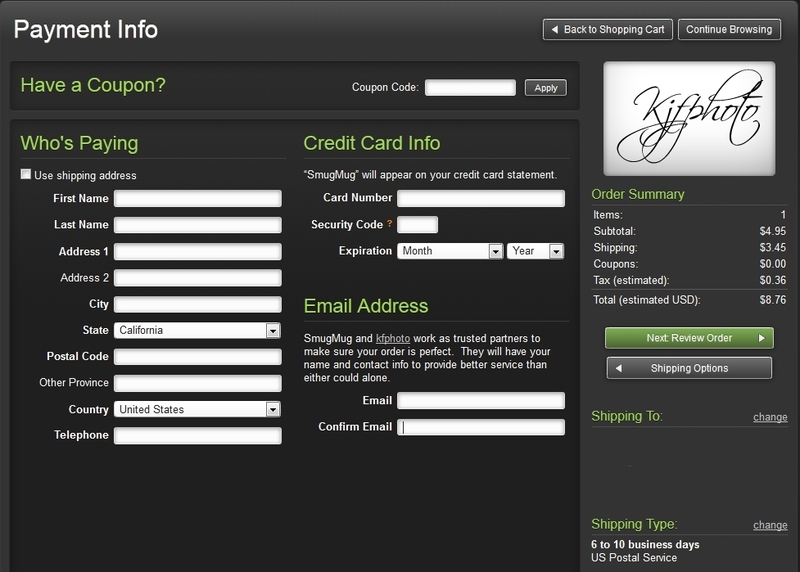 Once you are ready to checkout you can select the cart looking link or the “Checkout” in the step above. 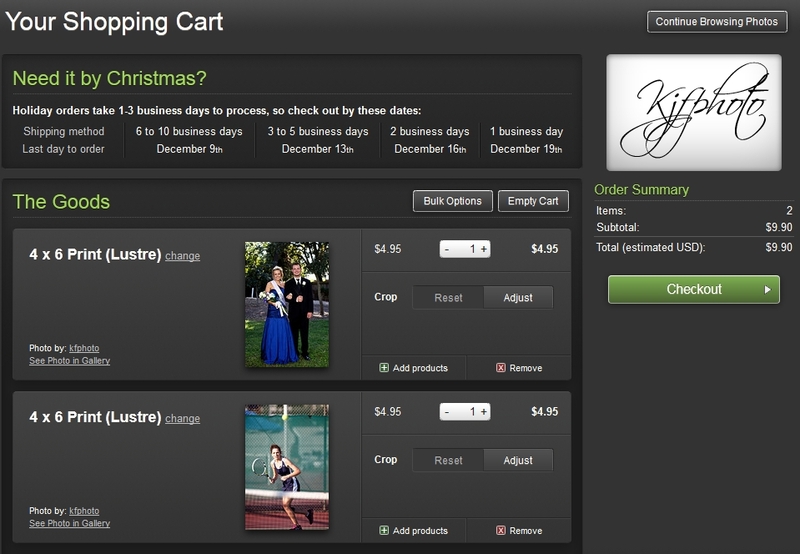 When the cart is displayed take a moment to review the photographs that are in your cart so that you are certain you will receive the order that you expect. 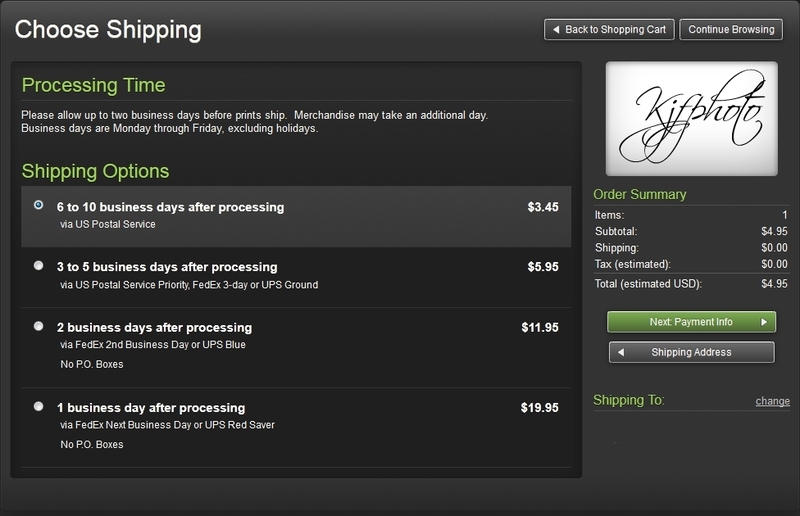 Once you have reviewed your order and made appropriate adjustments select the “Checkout” button. Note: At this time you would also be able to crop the image if you just want a small section of the image posted by selecting “Adjust”. 4. Enter the correct Shipping information (you do want the prints to come to you). When done select “Next: Shipping Options”. 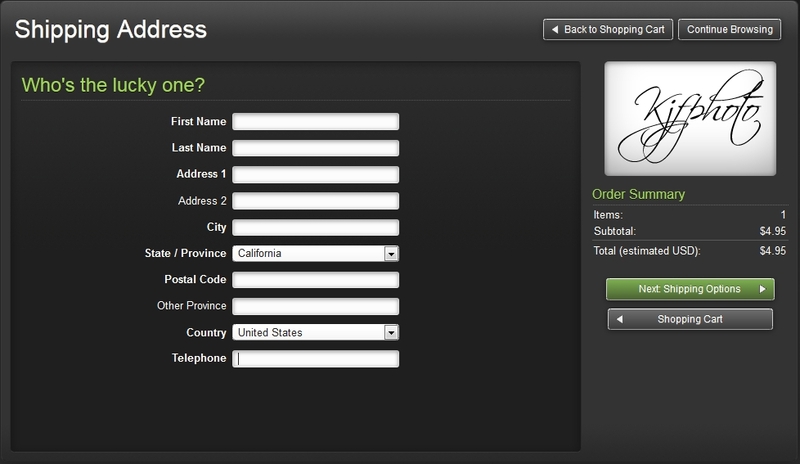 5.Select the shipment method that you would like to use. Note: The print facility, at last check, is located in California, if you need something quickly take this into account as you may be able to get by with “6-10 business days after process” as USPS may be fast from California’s Bay Area to you. 6. Collection of Payment Information, make sure that you put everything in correctly so that your order will be shipped to the correct address and billed out correctly. Regular updates will be sent to your email address, including tracking information, so that you will know when to expect your photographs. Review the order and finalize it. Note: This is where you also get to put in your discount code if you have been given one, please make sure to press “Apply” after entering your discount code and make sure that it shows on the “Coupons” line in the “Order Summary”. If you have been given a coupon please be certain to use it as refunds/reimbursements are not possible.